Susie Quinlan of Independent Living Solutions set the tone for our recent ‘Rehabilitation’ training day by looking at the challenges that providing paid care support in a client’s home can present and, most importantly, how an experienced case manager’s input can help to address those challenges. 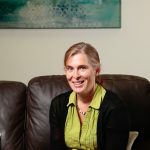 Learning and Development Manager at ILS, Susie is also a qualified occupational therapist and active case manager. The cases she talked about illustrated the impact of home care support arrangements on the clients, their families, and on the support workers within the care team. It was clear that the provision of paid care support doesn’t always prove to be the panacea anticipated. This is particularly true in the early days, weeks and months when clients and their families have to to adjust to having a team of strangers in their home. 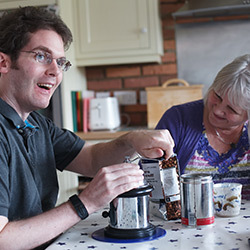 A family with an injured adult son that – with the help of the case manager – put house rules in place three months in, in order to address the ‘small but significant’ issues that were proving to be difficult for the client’s family to deal with – from the carers using all the milk in the fridge to charging their phones, turning up late, or spending too much time talking about their own personal issues with the client’s parents. Parents who felt excluded from their parental role for their 12-year old when 24/7 care was put in place. When the situation was reviewed, they chose to be her main carers at that point with less support, accepting that the balance would need to change to full time care in the future. Two families where parents felt that they were missing out on the ‘fun’ things with their respective children whilst keeping hold of the more challenging responsibilities. Both were resolved by reviewing the initial support arrangements and reallocating roles and responsibilities between the paid support workers and the parents. A middle-aged couple where the husband had a severe brain injury because of an accident at work. A very tense situation developed between the care team and the client’s wife due to the fact that the support workers were concerned that the wife was contravening the care plan they were asked to follow without understanding the consequences for the client, her husband. The case manager intervened to explain in more detail to the wife the care prescribed and the reasons for it. A family that suffered great trauma following a serious injury to their infant son that they felt responsible for. The parents worked well with the case manager but frequently argued with the support workers and criticised their actions. A little more investigation by the case manager led to her involving a psychotherapist to work with the parents to help them understand their feelings regarding their son’s accident and how this was impacting on their behaviour towards the paid carers. Be prepared: paid support in your home is not necessarily the ‘dream come true’ for families. They may be keen to have this support but are often unprepared for the new challenges it can present. Susie emphasised the importance of preparation for clients and families before paid care support is introduced. ILS have produced a brochure to help families address this; you can find ‘Considering paid care support? The experience of others’ on the ILS website here. Pause and reflect: Susie’s underlying message in each case study was ‘Stop. Review. Change.’ For the best outcome, the arrangements put in place must work for the client, for the wider family / household, and for the support workers. There is no ‘one size fits all’ solution, and arrangements must be constantly reviewed, changed and adapted as required. Get to the bottom of what’s really going on: it will sometimes take patience – and a bit of digging – to get to the heart of whatever might be causing problems in a care situation. A good case manager will carefully monitor the care arrangements and regularly review to make sure it works for the benefit of everyone involved. As in most aspects of life, communication is the key. Click ‘Considering paid care support? The experience of others’ to see ILS’s brochure.